Google, one of my favorite resources (in addition to Evernote) has lots of great things for education, including free apps and services. They also have a great library of lesson plans for educators. 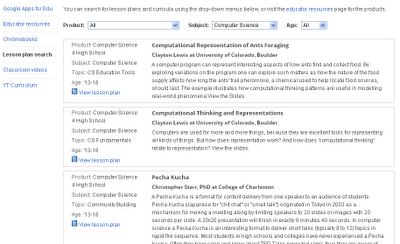 There are thousands of lesson plans available and all are searchable and sortable. Sorting can be done by type of Google product used, subject, or age group. The search and sorting is almost immediate and there are some great resources here. 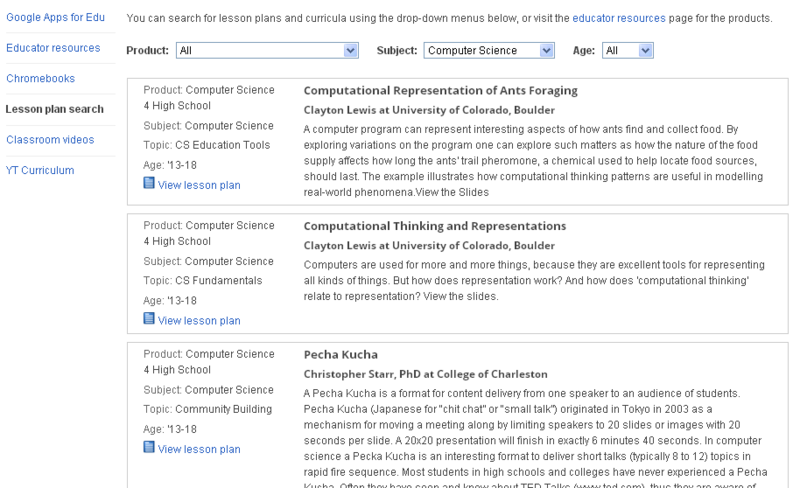 The Lesson Plan Search is a great way to find free lesson plans and ideas to use in your classroom.